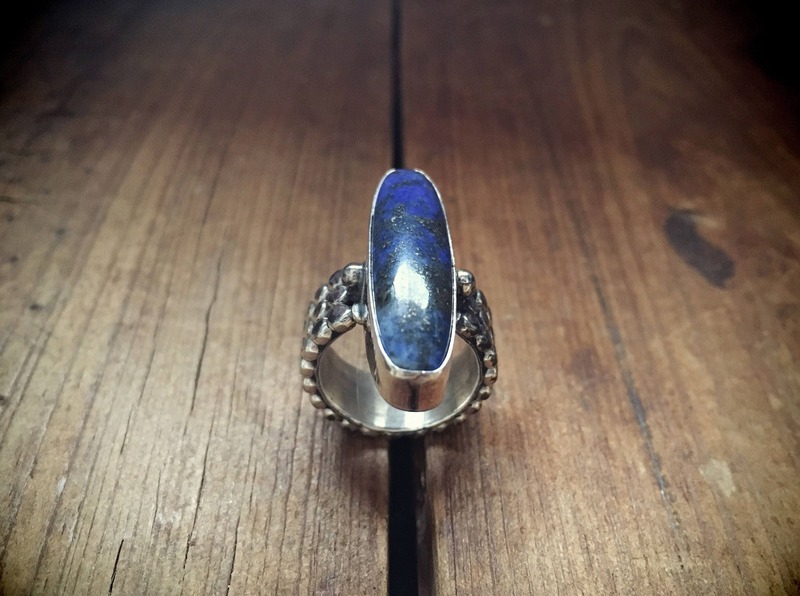 This ring features a stunning cabochon of lapis lazuli, deep blue with no white calcite spots and just a sprinkling of glittering golden yellow pyrite. 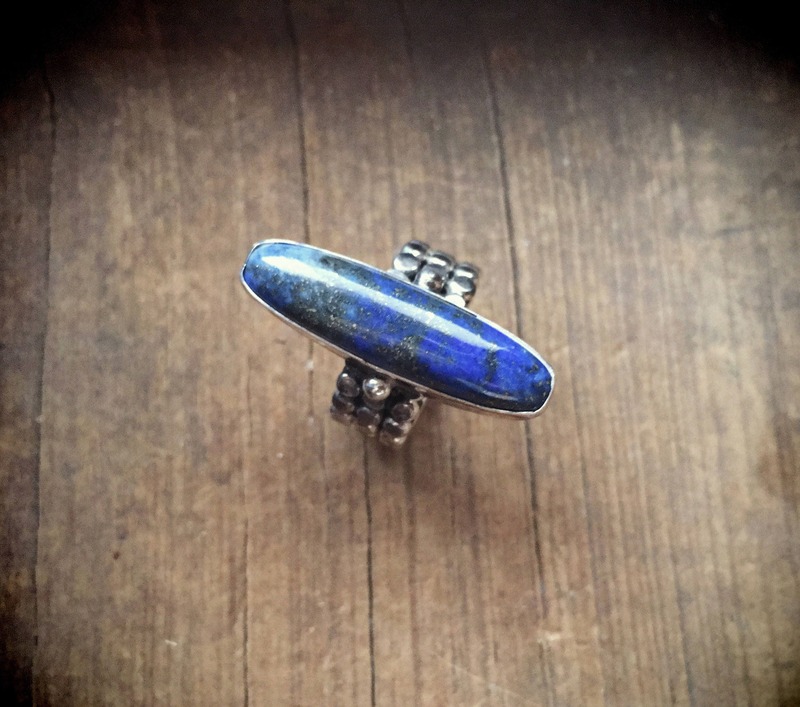 Blue is the color of colon cancer awareness, and here in the Southwest, lapis is often the stone that many survivors wear. 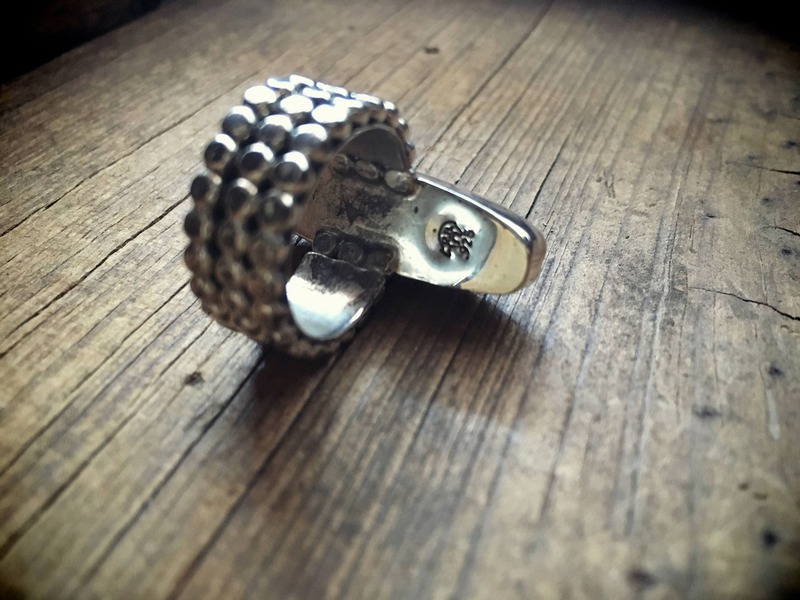 The ring carries the hallmark of R.B. enclosed in a bear icon, which tells us it comes from Gallup, NM-based jewelry company Running Bear. 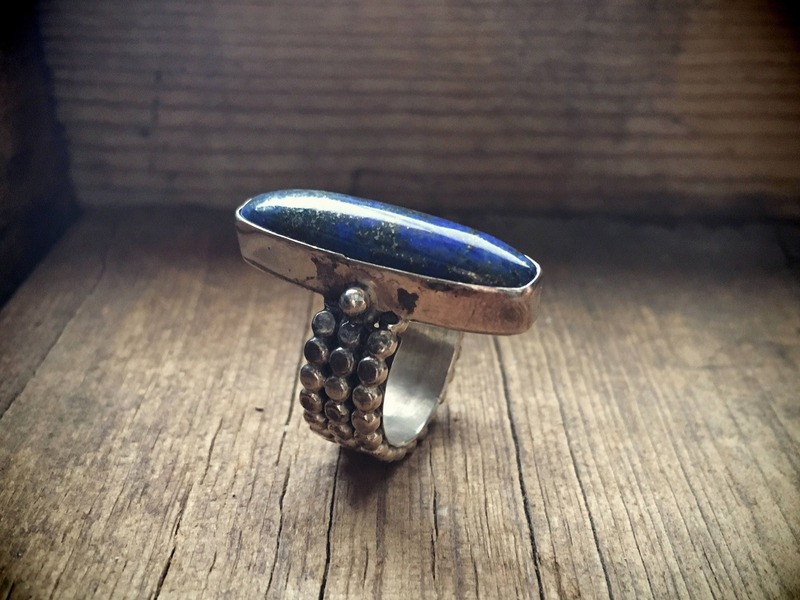 This 43-year-old jewelry manufacturer and trading post, like a host of others in New Mexico, employ Native American artists to create jewelry and designs sold under the Running Bear brand. 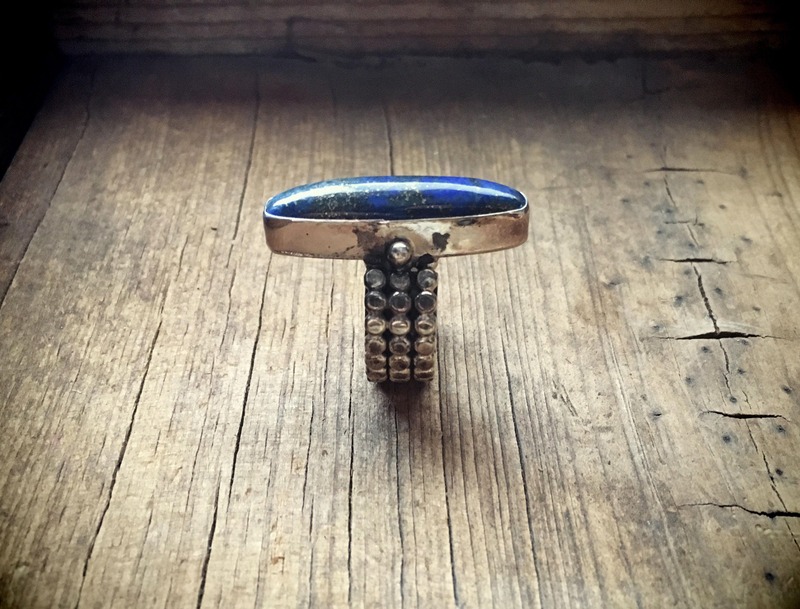 Since the ring does not carry a specific artist's stamp in addition to the company hallmark, we cannot say for certain that it is Native American made. 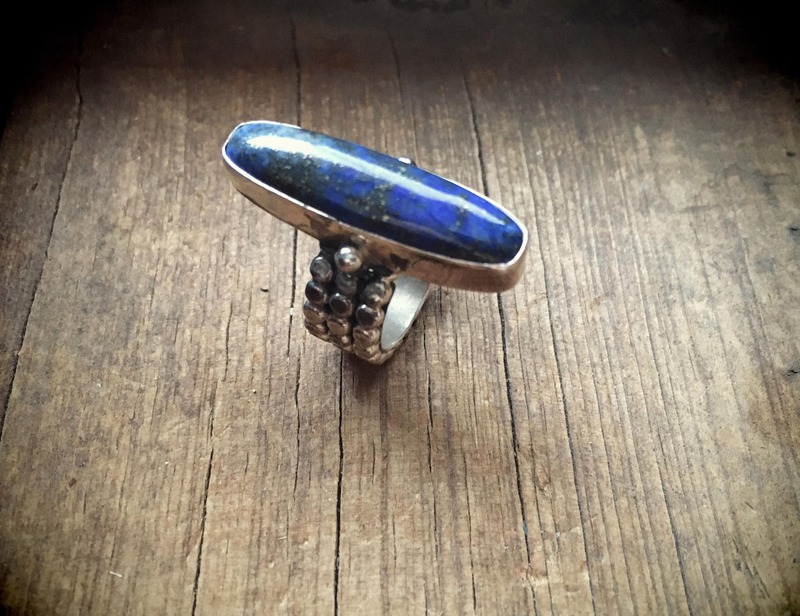 The ring is Size 6, which is not a large size yet the ring has a heavy and large feel to it. Some stubborn tarnish spots on the sides but otherwise in good vintage condition.